Frank Kelsey began building primary gliders about the same time as the Schweizer brothers. 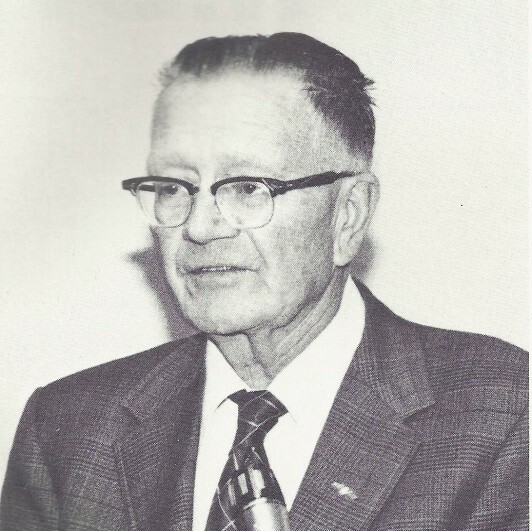 He was a successful sailplane designer, builder, restorer and repairer who shared his knowledge in many articles in Soaring magazine from 1943 to 1990 as well at the SSA Convention. He built his first sailplane in 1928 which was a version of the MIT AES design Eddie Allen flew in the first International competition in France in 1922. He was a senior in high school and built the glider as a shop project. He had obtained permission from the shop teacher by telling him it was a glider. The teacher assumed he was referring to a porch swing. A series of "Primaries and Secondaries" followed the 1929 National Geographic article on the Wasserkuppe in Germany. The first two-seater he built was a modified Laister Universal with a longer tapered wing and shallow gull. This model flew quite well compared to his earlier gliders. In 1939 he made his first visit to Hawley Bowlus by motorcycle. Later visits were by the airline where he was working and thus a source of flight passes. In 1939 he went to work for Bowlus in San Fernando, CA building and flying sailplanes seven days a week. To quote him, this "was a sailplaner's 'Heaven'." After Jack O'Meara's untimely death while flight testing a Navy airplane, Frank Kelsey became the test pilot responsible for the CAA certification tests on the Baby Albatross. The type certificate was successfully achieved. During this time, Frank built the Super Albatross by working nights at the Bowlus plant. Thanks to the contribution by a later owner, Herman Stiglmeier, that sailplane is now owned by the National Soaring Museum. 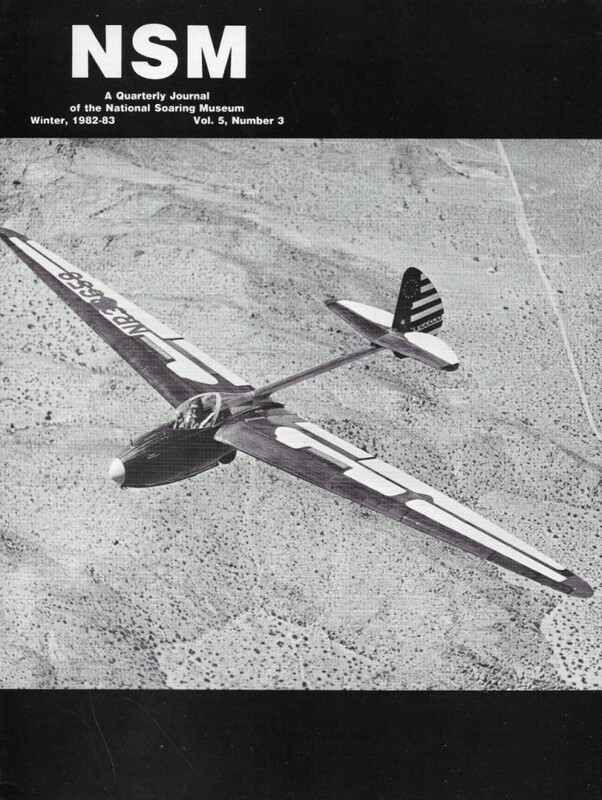 When World War II started, civilian manufacture of sailplanes was in chaos. Soon the Bowlus Sailplane Company was completely involved in defense work with the development of a two-place trainer design for the Air Force. Additionally, they were collaborating with Douglas Aircraft on large wooden invasion gliders which did not go into production. The Bowlus Company closed in 1943 and Frank went to work in Fresno, CA, in charge of Navy overhaul and repair of battle damaged carrier aircraft for Naval Air Station - Alameda. When the war ended, civilian flying was once again possible. Frank made several cross-country flights in the Super Albatross in the San Joaquin Valley of Central California. Then he moved back to Salt Lake City where he started a Fixed Base Flying Service which kept him flying charters day and night for six days a week and then relaxing on the seventh by flying sailplanes. Kelsey did enter two National contests with borrowed sailplanes but soon decided contests were not his "thing". A quote from the McCook contest where he flew the Prue Two: "George Coder filed an official complaint against me. He said that every time that he got a thermal, 'there was old Kelsey in the Prue up above him shutting off the sun'. He called it, 'the aluminum overcast'." Herman Stiglmeier flying the Bowlus Super Albatross at El Mirage, CA. This sailplane was built and flown by Frank Kelsey and donated to the NSM by Herman Stiglmeier. Photo: Warren Watson Collection. Kelsey owned various "store bought" sailplanes, including the last one in 1967 -- a Schweizer 2-32. He planned and attempted several times a flight to Denver but never quite made it although he came close. He holds Silver #697 earned in 1963, Gold #171, also earned in 1963 and Diamond #337 (Intl #1798) earned in 1976. Above excerpted from Frank Kelsey's talk at the National Soaring Museum upon being inducted in the Soaring Hall of Fame; published in the NSM Journal, V 5, N 4 Spring, 1982.